Google Play certification has finally come to the Kobo Vox, opening up the floodgates for thousands of apps for the device. 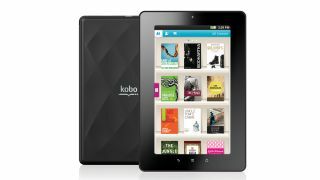 Announced back in November 2011, the Kobo Vox at first glance is something of a Kindle Fire rival. The 7-inch tablet/ereader is being stocked by WHSmith in the UK and offers a colour touchscreen, Wi-Fi connectivity, 8GB of storage and some expandable memory. What it was lacking when first released, though, was Google Play connectivity and any official Google apps. That's all changed now, though, with the ereader making its way on to Google's list of certified devices. This means the Kobo Vox now comes with Gmail, YouTube, Google Maps and Google Calendar apps pre-loaded and users will now have access to Google's movie, music (if you are using it in the US) and book services. If you already have the device then a software update should be winging its way to you shortly. Speaking about being Google-certified, Dan Leibu, chief technology officer at Kobo, said: "Google Play is the perfect addition for the content-rich ereading environment of the Kobo Vox. "This is another big step in our ability to give people an open and compelling multimedia device that can be customized to suit their needs. Having access to the thousands of games, apps and tools offered by Google Play makes the Kobo Vox an ereader and so much more."